PaSsu Diary : Why is it Between Chamkhar Chhu and Zhemgang? I have consciously signed the petition "Keep Chamkhar Chhu Free-Flowing" initiated by Bhutan's alpha professional photographer Aue Yeshey Dorji and shared it on my Facebook wall. But I didn't know my post was immediately going to become a platform for a very serious debate. It gave me deep insight into both side of the argument. However, I when I signed the petition for saving Chamkhar Chhu I wasn't against development in Zhemgang. I felt sorry that the last river had to be the very river flowing through Zhemgang. I have personally been pushing for Chamkharchhu hydropower project because it could be a game changer for the poor people of Kheng. Upon the resolution of the Dzongkhag Tshogdu, I moved a motion in the NA to expedite the implementation of this project. I have also been meeting the minister for economic affairs and the senior officials of the Ministry as well as DGPC to request early implementation of the project because the people of Zhemgang want it. The project promises to open up remote and rural areas of Kheng to mainstream economy and people are excited about the project. I appeal to all those people who have signed or plan to sign to first understand the project. My stand has always been clear, if what you do is going to benefit our poor people deprived of all amenities in the villages, please support the petition. Otherwise, please support this project which will open up whole of the remote Kheng and provide them better economic opportunities. 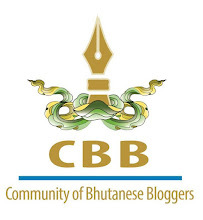 Do not fall under illusion that Chamkhar Chu project will pull Kheng out of the current state. None of the villages in Chukha dzongkhag has enriched through Tala or Chukha Project. Ask our MPs from Chukha who are now more attuned to the plights of our local people. I have worked in Chukha Project (1982) when it was being constructed. We are treated worse than Indian labourers. Similarly, I have covered the entire project phase of Tala when I was in BBS from 2000 to 2005. Unfortunately I was never allowed to go deeper into the project. Similarly I have been working in three gewogs of lower Wangdue - Athang, Daga and Gaselo as volunteer for Tarayana and villagers there have not been able to sell even a bunch of fruits to the four mega projects. I had this conversation with my dear friend from Kheng, Nawang Phuntsho, personally last month, and his expectations were practical modest when he said that "The development activities need not come directly to people's doorstep, but infrastructures like road will come by default. Kheng rig nam sum have been neglected and kept in the darkness for a while now." He shared that a 30 Km road in Zhemgang tool seventeen years to build, and he was very serious when he added that even a dung beetle could have covered the distance in so many years. At this point I was intrigued as to why the development in Zhemgang has to be a byproduct of a project, shouldn't it be the right of people of Kheng to demand from the government? Are roads in all other Dzongkhags built because of the projects? Since when did development of infrastructure in a Dzongkhag become hydro project bait? If Zhemgang was treated at par with the rest of the Dzongkhags from early on would they ask for the project, having seen what happened in Punatshangchhu? I feel that Dasho Lekey Dorji should ask for roads and other infrastructures without strings attached and leave the hydropower project mess aside for the sake of larger things at stake. ...my cause is still not that of environment because I know that when you have a gaping hole in your tummy, environment will not fill it. My cause is still the economic devastation that we are already suffering as a result of these hydro-power projects that have gone horribly wrong! My cause is still about keeping at least one of our rivers free flowing - for the cause of our future generations. My cause is about bequeathing that river to the name of a giant of a man whose private angst at the destruction of the environment is well known. "Intergenerational Equity" means not exploiting every river during our time, and "the sovereign right of the State over its own biological resources" means not letting a foreign force decide for us. If it was really about electricity and not about invading our waters then why don't we dam the Punatshangchhu two more times? After all our rivers are mostly fed by rain, which means the more southward we take our dams more the water. Why exploit another river? When I signed the petition it was never about the choice between Chamkhar Chhu over Zhemgang, it was about our Country. Therefore I urge all the people who signed the petition to raise your voice for development in Zhemgang too. Zhemgang should get its fair share of development with or without any project. It will only be fair if you fight for the people of Zhemgang as you fight for the river. And all I know is that without this project, Khengpas will never get a proper road - no not all; not in my lifetime. We have raised through difficult times and we understand the situation well. For instance my batch of students from Bardo Primary School walked three days (carrying all our belongings, books and other edibles on our backs) to appear our class 6 common exam, which woul be conducted in Zhemgang HSS. And the road is still not there after 18 years since we passed class 6. This is so true. I live in Australia. My grandfather lives in Bjoka. He never liked in towns, and he is very sick. My dad walks for days to take medicine and other stuffs. This is one example. I have thousands. Though we can afford to drive there and ease this drudgery, this is still a distant dream. No other ways to get road. May me some farm roads, which would take another few decades. Yes. Zhemgang is the neglected district in our country. That's why Zhemgang has a higher poverty rate and low literacy rate. Many distant areas are still without accessibility to modern infrastructure. People's living conditions are so miserable. But the cries and woes of people never reach the eyes and ears of the government. Where is equality and justice? Isn't it a discrimination? It is about time we the khengpas woke up from the sleep and fight for our own rights and entitlements. I am not an economist but let me give some facts based on the National Revenue report 2013-2014 published by the MoF so that the person who initiated this petition can figure out what hydropower means to Bhutan. He stated that his cause is not about environment but rather on devastating economy that hydropower has created. As per the report the electricity was second top revenue contributor(29%) after the trade. It has seen 27%annual increase in that financial year. DGPC was top most contributor followed by BPC at fourth rank. When it comes to corporate income tax DGPC was the highest CIT payer followed by BPC at third place. Though it was not specifically mentioned in the report I am sure those revenues were contributed by mostly by chukha since it liquidated its loan by then. That is the contribution from hydropower to our country forget about the jobs it created to Bhutanese. Right now there is no single outsider employed in Chukha power plant and it is fully managed by Bhutanese. Apart from revenue and jobs I think it created market for our farmers and businesmen to sell their farm products and run hotels. On top it also build health and educational facilities where Bhutanese especially local people could freely avail the services. If we consider its contribution to global efforts to reduce carbon emmission I think hydropower contributed most if not highest among any sector in Bhutan. The minimum colateral damage it caused to envirionment will weigh much less than the positive impact it made in sum. If petitioner still thinks hydropower has horribly gone wrong then I think something is infact gone wrong with him. Just because we faced few short term crisis doesnt mean things will continue to go wrong. Since I have already pointed out the reasons why Chamkhar Chu should not be undamed I am not going to write any further here. I hope the figures will speak louder than theories and since the petitioner clearly said his cause is for economic reason I hope by now his neurons will get ignited and start transmitting impulses. I think we are very selective in what we wish to know and what we wish to ignore! We are selfish. Thank you for posting your comments on my Blog. Please accept my sympathies - the onus of creating the Kheng Development Fund amounting to US$1B has now been squarely placed on you. May I suggest that it would be simpler if you petitioned the Royal Government of Bhutan, on behalf of the neglected Khengpas, rather than contemplate the impossible task of raising that kind of fund. 1. Why Chamkharchhu amongst all the river basins? 2. Did the request come from all those people living along this river basin (starting extreme north Bumthang till Panbang)? 3. Considering Chamkahrchu basin as one with better hdyro potential, what will be the impact of studies done on many other projects on this river? 4. What better alternatives have the petition proponents got for those people who have to forgo the socio-economic benefits that would be accrued from projects? 5. Whats the planned outcome of proposing to keep this river free of dams?? If a man who NEGLECTS HIS neighbor is call selfish then what do we call the one who NEGLECTS HIS COUNTRY? May be a man who take care of country will not forget and leave behind his neighbors because they are part of country too. Of course we should be called selfish if our people are atleast at par with other districts, then we are obviously asking more and being greedy. I think you should visit our place one day if you havent been there. I will take you around. Then only you will realize that our people cant be selfish. My friend Pema, I have worked in places like Sombaykha and I can connect that to the live in Zhamgang. I agree with you on every word when it comes to condition in Zhemgang but my question is DO you want road or Hydropower project? Do you want health facility or Hydropower project?... it's far more practical to demand for good road than project, which may or may not ever build roads to remote communities (read stories on Chukka, Tala and Wangdue on Yeshey Dorji's blog). You think project will be a short cut to development but it may end up being exactly the opposite. It's your right to demand for development and if it's not delivered then question your MP, he is accountable. He cannot load all his promises on hydropower elephant and wait for it walk. Yes my friend Passu, I honestly accept your arguments too. If giving pressure to politicians worked, then our places would have been fully equiped with basic amenities. It simply doesnt work charo, and sad thing about democracy is that we cannot drag politicians to court for not doing enough. At the most what we can do is change them through secret ballots which can never break this viscious cycle. Unlike chukha and Tala which falls just at the edge of national highway, Chamkharchu project is located right at the center of four gewogs, the project master plan has the provision to construct road from two points, one from Buli and other from Digala, these road will connect almost all the chiwogs of these gewogs. We don want road to doorstep of each houses, we have been walking for centuries and walking to these nearest road will be more of pleasure. If this project doesnt come, then there is no plan for road in these areas included in current five year plan. It will take next hundred years for the road to reach those areas. Yes you are fortunate that alternate highway is being constructed from Haa to Dorokha, you have road from paro to Haa through chelela, another one from chunzom. Recently one more road is started from Damchu to Haa(bypass). If government offer us such alternatives I don think khengpas are so crazy about projects. I am not trying to express my selfishness by giving this example, in fact it is my wishfull thinking if such miracle could happen in our district too. Those people who have signed or are contemplating to sign the petition, I would request you guys to ponder around and try answering the questions which i have posted above and think you still want/need to sign that uncalled for petition! Any new questions? Because your above questions were discussed over and over, on this very blog and on Yeshey Dorji's blog. And on various Facebook forums, including my wall. In line to petition of our Honorable MP Leki Dorji, it would benefit the people of Kheng Especially Upper Kheng and also it would enhance the better bridge connection over the juncture of Mangde- Chhamkhar Chhu, where 12 people has lost in May 10, 2014. On top that the site is done with survey 3 years back and it seems government has already spent huge amount on survey. It could compliment the gone expenditure of government and would benefit the people of Zhemgang.